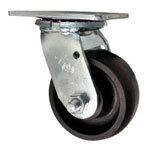 4" Swivel Caster - Rubber Tread on Metal Core Wheel - 400 lbs Cap. 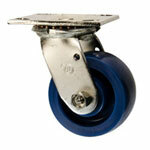 4" Swivel Caster - Polyurethane Tread Wheel - 500 Lbs Cap. 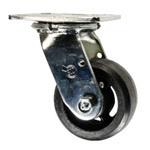 4" Swivel Caster - Rubber on Aluminum Core Wheel - 400 Lbs Cap. 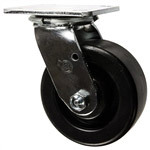 4" Heavy Swivel Caster Polyurethane Tread Metal Core - 700 lbs Cap. 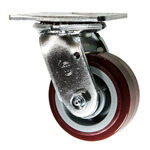 4" Swivel Caster - Polyurethane Tread Metal Wheel - 700 lbs Cap. 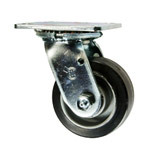 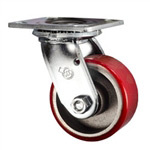 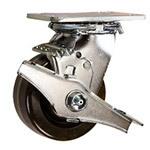 4" Swivel Caster - 4" x 2" V Groove Semi Steel - 800 Lbs Cap. 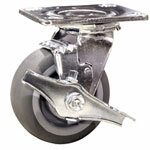 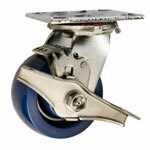 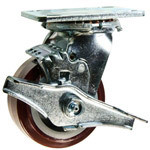 4" Swivel Caster - Poly Tread on Aluminum Core Wheel - 700 Lbs Cap. 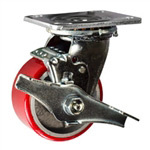 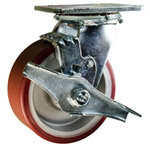 4" Swivel Caster - Solid Polyurethane Wheel - 700 Lbs Cap. 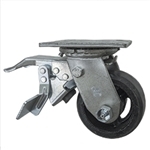 4" Swivel Caster w/Brake Rubber Tread on Metal Core 400 lbs Cap. 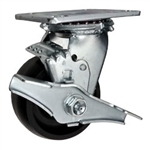 4" Swivel Caster w/Brake - Rubber on Aluminum Core Wheel 400 lbs Cap. 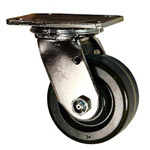 4" Swivel Caster w/Brake - V Groove Semi Steel - 800 Lbs Cap. 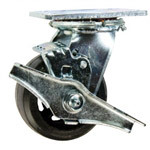 4" Swivel Caster w/ Brake - Poly Tread on Aluminum Core - 700 Lbs Cap. 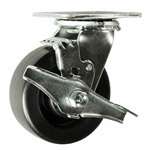 4" Swivel Caster with Brake - Solid Polyurethane Wheel - 700 Lbs Cap. 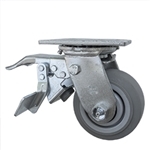 4" Swivel Caster with Total Lock - Rubber Tread on Metal Core 400 lbs Cap.